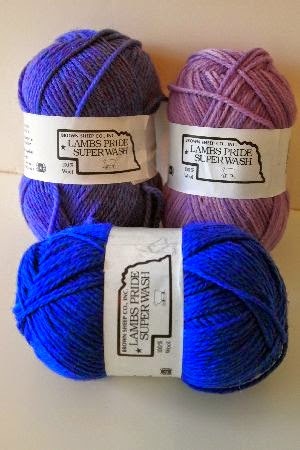 I'm not sure why, but I have this absolute conviction that I won't be able to find any good wool yarn in Texas! Many people have assured me that is not so, but it hasn't stopped me from buying every new washable wool I find. Before I share my stash enhancement (read: anxiety treatment), let me show off a few finished projects made by dear friends. First, Friend Emily is studying in Svalbard, a Norwegian archipelago in the Arctic Ocean. Situated north of mainland Europe, it is about midway between continental Norway and the North Pole. Yeah. Cold. The warmest day on the Weather Underground's forecast is Monday, forecast to be just above freezing. 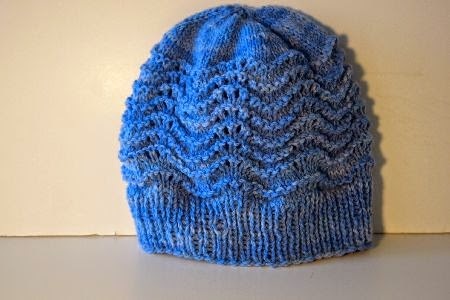 Maniacal knitting kicked in yesterday and I design and made myself a new hat. 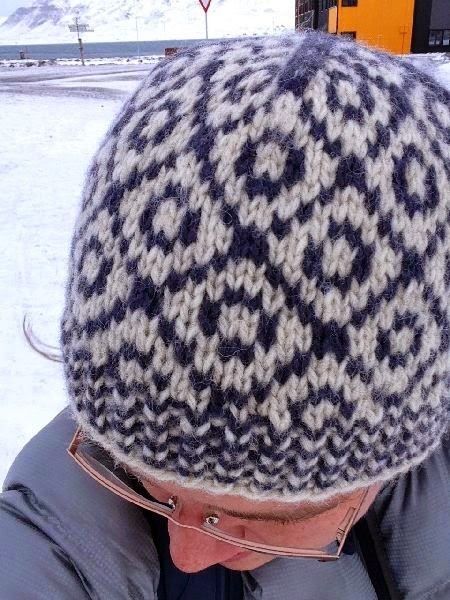 It is in the same pattern as these Svalbard sweaters seen/sold on the island. I can't imagine they are traditional though, at least to the island, so I don't know the significance. However, I still like my hat. I'm considering making a full sweater, but I think I might have the same problem as I do with my Icelandic lopi sweater: too warm to wear anywhere but the arctic! Love your design, Em! And I bet the double yarn makes it a good weight for the "spring" in Svalbard! Another clever girl is my niece, Lyra. She is a soon-to-be graduate of Franklin Olin College of Engineering in Massachusetts. And a knitter! 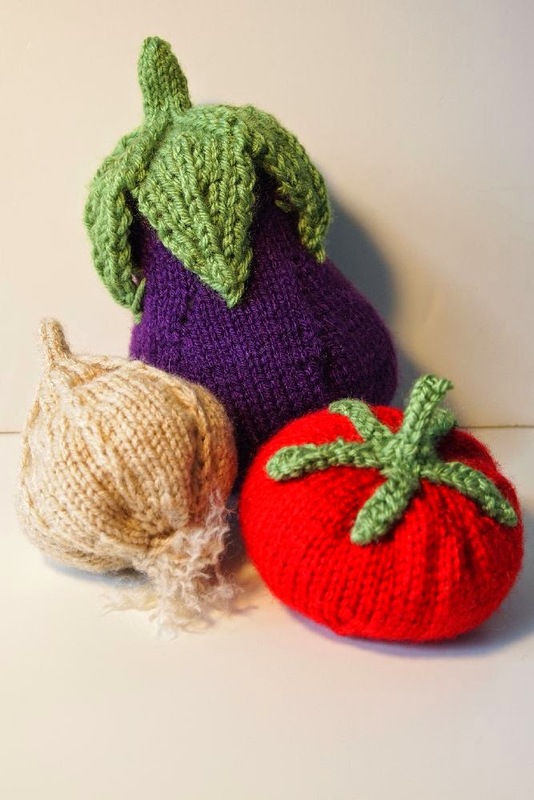 She made these knitted veggies for me for Christmas. Aren't they fun? 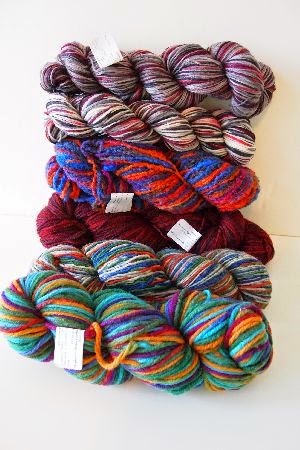 I fell in love with mini skeins of Lorajean's Knitted Wit yarn at Fancy Tiger last winter. 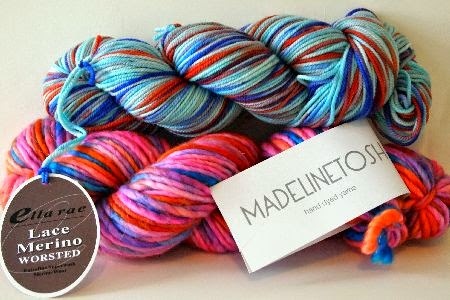 I nagged and nagged her via etsy, and she now has the Spring Rainbow colorway in stock. Plus a fun colorway in the same shades as the carpeting in the Portland airport! My friend and long-arm quilter, Cornelia, found a fun nail polish called "Unicorn Farts." 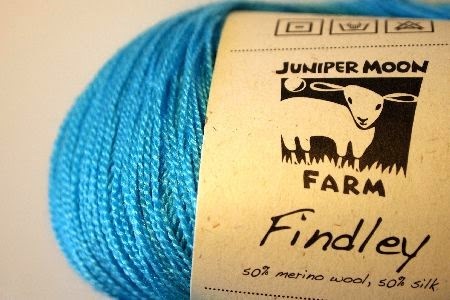 I couldn't find the nail polish, but I did find this yarn of the same name. I made her a drawstring bag to take on an upcoming trip. 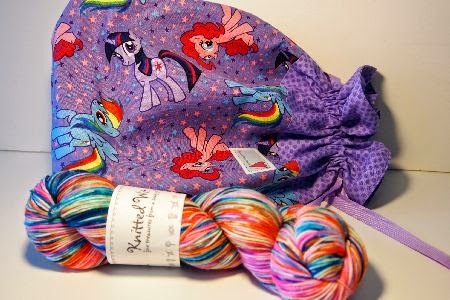 The only fabric I could find that had a unicorn is "My Little Pony." Close enough? I made another drawstring bag and knitting kit for my friend Holly, who is deploying to Afghanistan next week with the US Air Force. I'll be acting as "Deployment Mom" for her daughter while Holly is away. 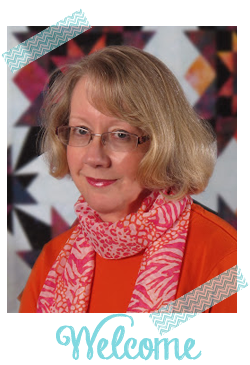 The Dishcloth Diva autographed a book to include! This new colorway of Liberty Wool is called "October." My birth month! So I had to get it, right? 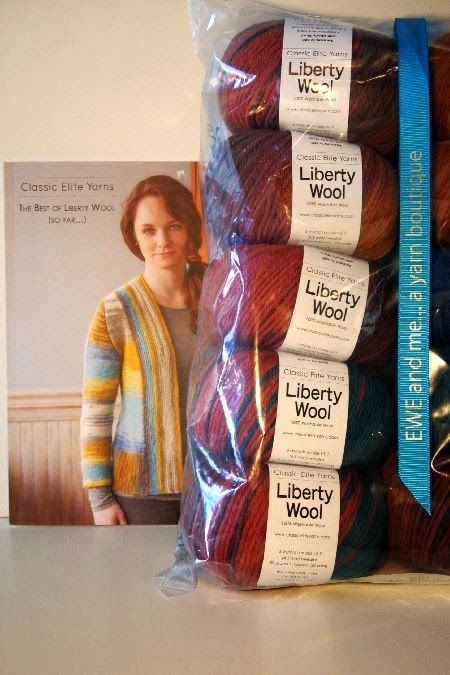 And I love the sweater on the cover of the new Liberty Wool book. Both from Ewe and Me here in Colorado Springs. 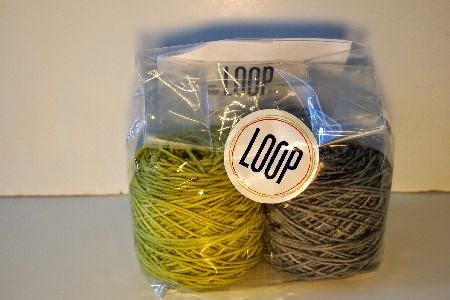 This kit from Loop is supposed to be for fingerless mitts. 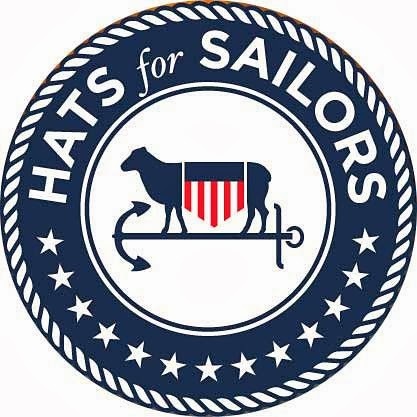 But I'm planning to make Hats for Sailors, I just loved the colors! I've seen so many versions of Hannah Fettig's Featherweight Cardigan on Ravelry lately. And when I saw this gorgeous shade at Ewe Count in Cheyenne, well . . . you know what happened! This yarn really more aqua than it appears in the photo. It's so hard to get true colors with indoor photography. On my way to Cheyenne last month, I stopped off in Mitchell, NE at the Brown Sheep wool mill (hey, it's sort of on the way!) I scored a huge bag of yarn "seconds" for only $60. To the Brown Sheep people, "seconds" means the color doesn't quite match their color cards. The yarn is perfect! And of course, the Loopy Ewe is right on my way home! Both of these are new-to-me yarns, and the colors, oh my! Do you think I'll have enough yarn to keep my happy for six months in Texas? 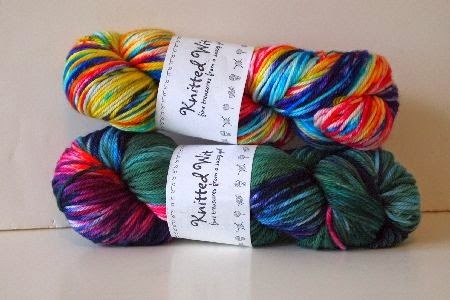 Ooooh, such pretty yarns! And after 6 months in Texas, coming to Switzerland to celebrate your birthday (ok, and come to the Peaks retreat) would be just in time to bring some knitted beauties! ;-) Happy knitting! Those yarns are like eye candy - such beautiful colors. I love the knitted veggies and Emily's hat is beautiful. I'd say your needles will be busy for six months! This could almost make me take up knitting! Yeah, just what I need, more stash of a different type. 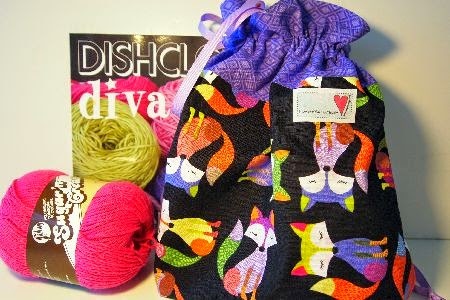 What a wonderful assortment of colours...and I know you will use those wools - I am good at "collecting"